The Kentucky Petroleum Marketers Association (KPMA) is made up of representatives of all segments of the petroleum industry to promote the interest and goodwill of everyone engaged in the marketing and distribution of petroleum products in Kentucky. Members engage through various avenues, including our committees: Audit, Finance, Government Relations, Marketing, Membership, and Regulatory and Technical Advisory (RTAC). The KPMA also includes member companies in more than 10 other states. Why should you be a member of the KPMA? The KPMA is dedicated to effective participation in discussions about our industry – on the state and federal level. Through representation in the Petroleum Marketers Association of America (PMAA), KPMA members have access to the best information from Washington on all the legislative and policy issues that impact your business. We have a voice in the decision-making process. In Kentucky, the KPMA maintains a presence in Frankfort through government affairs efforts that put your KPMA staff at the heart of important issues in the Commonwealth. KPMA staff and partners develop relationships, monitor issues and participate in the legislative forum to promote the industry. The KPMA is your representative for critical industry issues of the day and topics on the horizon for tomorrow. The KPMA works to develop and maintain relationships with regulators so we have a seat at the table. What do you need to know from your regulators? We can ask. What do they need from the industry? We partner to give them access to insightful and helpful information in development of guidelines and policies for a healthy industry.The KPMA has both a local and a national voice when it comes to lobbying for our industry. Our members and staff regularly participate in numerous legislative events throughout the year. Recently, the KPMA has approved the creation of a PAC to further engage our legislators in the state. On a national level, our voice is heard through the Petroleum Marketers Association of America and we participate in the annual Day on the Hill in Washington, D.C. The KPMA offers professional, timely news, information and education to make sure you have the information you need, when you need it. KPMA’s education is designed to increase the technical and compliance knowledge base of the petroleum industry as well as provide business owners with actionable strategies for success. To further that effort, members receive the quarterly Marketer magazine and the weekly digital e-Marketer which includes breaking news on the local, state and national stages along with the association calendar and exclusive members-only events and information. Education is also offered through in-person training and conference opportunities throughout the year. In particular, don’t miss the annual Tank & Technical Conference held each November! Connecting with our members is a highly valuable benefit of membership and KPMA offers multiple opportunities to work together - face to face - throughout the year. 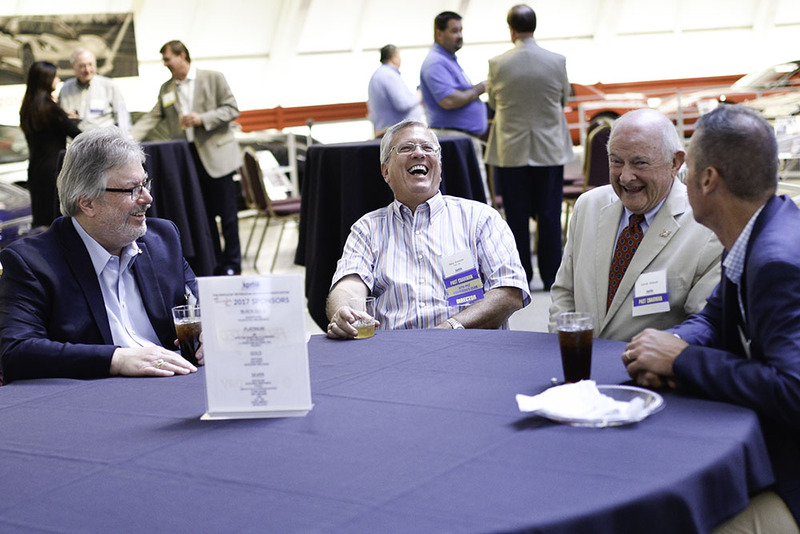 Our industry runs on all cylinders all the time, and that’s why KPMA member-to-member connections are so important – our members fuel the business of the day. We’re proud to represent a broad-based membership from marketers and convenience stores to suppliers and associate members. We all work together to advance our business and our industry. The KPMA also provides an annual Directory of Members so you can be sure you are always connected with other leaders of the industry, as well as the best guide to products and services offered by associate businesses. Only members have access to our online membership directory, where you can connect with decision makers within the KPMA membership. The association co-hosts the annual Midwest Petroleum and Convenience Trade Show, widely referred to as M-PACT. Partnering with neighboring states Ohio, Indiana, and Illinois, our convention and trade show is attended by thousands of industry experts and professionals from around our region. Join us for seminars, a three day trade show, plus business and social functions in Indianapolis each Spring! Another exclusive benefit of membership is the opportunity to participate in group insurance rates. KPMA partners with leading insurance companies to offer competitive group health, life, worker’s compensation, property and casualty insurance programs. Interested in learning more? Contact KPMA endorsed partners Federated Insurance for workers’ compensation, property and liability insurance and AssuredPartners for health insurance.